The latest expansion to the Dixit series of Family games is Dixit Daydreams. The multi-award winning game returns with a totally new 84 card expansion: Dixit Daydreams. Embark upon Franck Dion amazing world where fringe and fantastic characters live in poetical or revisited everyday life realms. 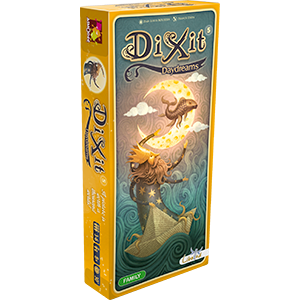 This pack will be released in a brand new format, bringing the Dixit designers to light.